Intel is reportedly notifying its partners that they will be delaying volume shipments of their upcoming Ivy Bridge processor until June. The delay comes because both Intel and notebook vendors are having a hard time moving existing Sandy Bridge inventory due to the weak global economy, according to sources from notebook players as reported by DigiTimes. Intel is still planning to announce and ship the 22nm die shrink of Sandy Bridge in early April but quantities will be limited. If this strategy holds true, early adopters can expect to pay a premium for the new silicon – that is, if they can find it in stock. Intel’s existing Sandy Bridge-E i7-3930K has been plagued with retail shortages for several weeks as demand for the enthusiast-level chip continues to rise. 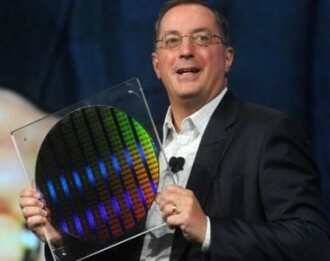 With Intel shifting their schedule, it puts vendors in a precarious position as many have already started working on Ultrabooks built around Ivy Bridge. Furthermore, will a knowledgeable consumer look to invest in a Sandy Bridge notebook when Ivy Bridge is just around the bend? Notebook vendors still feel that the PC replacement trend won’t pick up steam until later this year when Microsoft releases Windows 8. As such, the first three quarters of 2012 are being referred to as a dark period in the notebook industry. PCWorld points out that other factors like the flooding in Thailand that has led to hard drive shortages and a trending consumer shift from PCs to smartphones and tablets has also negatively impacted the notebook industry.